Revamping your home? Here are 5 places in Delhi to find the coolest decor! Unlike most people, we find our way to this mall particularly on Wednesdays. The reason? Their flea market that opens from 4 pm to 10 pm every Wednesday. You’ll find local vendors selling cute yet funky home decor items at really reasonable prices. With a number of such stalls spread across their garden area, you’re sure to come back with hands full of stuff! 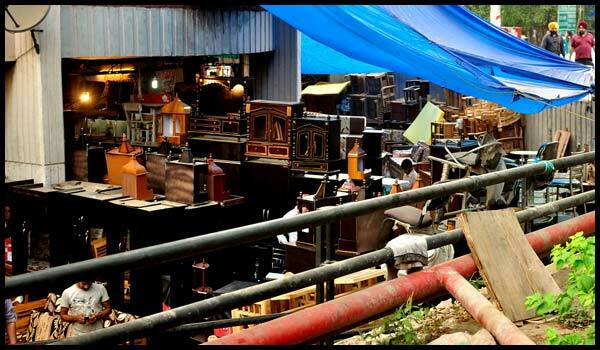 Existing since the 1960s, this is by far the best furniture market in Delhi. Whether you’re looking for luxury pieces or just modest furniture – this is the place to be. The furniture here is mostly made on demand, giving you the option to experiment with things for your home. While you’ll come across a lot of vintage looking furniture here, you can always get that little bit of zing introduced to it! While you might have to do a little bit of scouting around in this market. If you have the patience, you’ll discover the most unique home furnishings at affordable prices! From things made of wood, handmade products and lighting options to magazine racks, curtains and paintings – the things you might find here are endless. 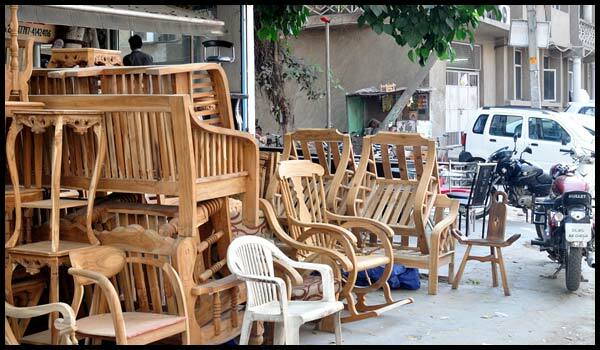 Kirti Nagar is Asia’s biggest furniture market! From interior design boutiques to imported kitchen fitments and conventional and non-conventional furniture makers, the place has it all. Catering to people from all walks of life, the stores here offer a pleasant departure from the conventional decoration seen at most home decor shops in the city. MG Road is lined up with showrooms showcasing a wide range of furniture that isn’t just of the best quality, but also the best price! From vintage to modern, you’ll find all sorts of home decor products here. And if you’re looking for something funky, you are certainly at the right place – be it paintings, small figurines, lanterns or for that matter, fountains, the market never seems to disappoint anyone. Talking about it had us totally pumped up about a house revamping! Heading for some shopping now. Are you coming?